I just ordered a Pernambuco Bow from the Fiddlershop. I figured that it was about time for a new bow. My FM CF bow has been played and cleaned many a time and I think that the hair is getting a bit tired. After some thought I went for upgrade, but then had to think, upgrade to what? And then I had to think, where do I get this bow and how do I know that it's going to be the genuine stuff. I could have gone down to my local music shop. Nice guys all who have never steered me wrong, but not really 'violin' folk. It's Blues and Jazz in this town. And then I remembered a recent post asking if they could trust Pierre when it come to buying a bow 'online'. And in my reply I said that I would totally trust FM on any violin associated purchase. Problem solved. It was just a matter of putting my money where my mouth is and buy from the Fiddlershop. Its the third bow that I've bought from the Fiddlershop. The others are the CF violin and the CF viola. I 'do' like to support my local shop when I can, but on this one I trusted FM more. Not because they would intentionally sell me a 'dud' but I had to trust Pierre's experience rather than that of a Blues guitar player. And, along with the fore said, I thought it would be a good way to support and thank FM for his work and effort in keeping this forum up and running. It's a great asset to us all. Congrats John.. It's like Christmas in July!! I realise that even though it's 'Pernambuco', it's not a magic wand that will make all of my bowing problems go away. ha ha.. I'd like to think our bows are our wands... and that the "Wizard doesn't choose the wand, rather the wand chooses the Wizard." ha ha.. ok.. not true.. but what if? I am using a bow now that is not CF. I have to CF and I like them. But a while back I got a bow on a super clearance. I think it is like a 50 dollar wood bow.. ( I got it for 7.95).. I am playing with it now. IT is really much more nice than the cheap bows that came with my pinky Violin... But in the realm of wood bows I don't really know what is good bad or different. I don't even know if I could do a good bow justice. 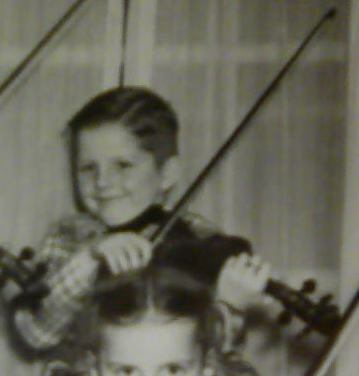 But I do think pretty soon I am due for a "special to me" bow for all my love and dedication to the violin. ramble ramble.. dang my coffee is working today!!!! It kind of died down to a normal rate of sales on those bows after a while though. We were told by the distributor that some of the Brick and Mortar stores are charging $1000 for those bows. It's crazy isn't it. I don't think I could sleep at night. Since the bows are made of quality Pernambuco, and made in China without a stamp, the dealers can say anything they like about the bows to raise the price. You make a very good point about the word 'cheap' when you talk of things that people search for. And if it's working for you don't change it. The search engine 'robots' most definately look at the words within a web page and rank pages for the relevance of those words in relation to search terms. However, I think you can use the word 'affordable' in the page as the discription of the item for sale and work the word 'cheap' into the rest of the text. I agree with the name change to, "Affordable Pernambuco". I was thinking about buying one myself until I realized something. I play all my songs using four different bows and that I play all the songs the same, no matter which bow I use. The bow I get the best sound from is one I bought about twenty years ago for $225.00 (Brazilwood) it gives me a more mellow sound, but is rather flimsy even though the stick itself has thickness compared to any other bow I have, therefore I have to tighten the hairs to nearly 3/4" between stick and hair. WARNING!!. I don't recommend that you start drilling holes in your FM / CF bow(s). This was just an experiment I did with a CHEAP $25.00 glass bow, but it seemed to work ok for me, the sound did change. One more point i'll touch on is the quality of the horsehair. Did it come from a live or dead horse. Is the hair course or fine. I understand that fine hair produces a more mellow sound and that most horse hair comes from dead animals. Just what I've read somewhere. In conclusion: The quality of the bow, be it $10.00 or $10,000.00 won't make you a better player, only hours and hours of practice can do that for you,only hours and hours of practice can stop the "bouncing" bow, but it may improve your mental attitude and for a brief time you can become a, "David" or a "Hillary", lol IMHO. "I realise that even though it's 'Pernambuco', it's not a magic wand that will make all of my bowing problems go away. But it would have been nice if it was endorsed by Harry Potter"
But I'm sure that you would agree, as a worker with wood, that the best possible tools will give the best possible result. I would rather have a bow that is superior to my abilities than one that is less. At least that way I know that if I'm bowing badly the problem is 'me' and not the tool. @@Fiddlestyx I like that you gave us your experience. I like that perspective . @Ferret I also believe in giving oneself the best option. 🙂 I am going to get a nice bow this year. If the word "cheap" is drawing biz, I'd say keep it and defend it's use as one of your sales points. You could point out that for an actual pernambuco bow that is well enough made to deserve to be called a bow, that the ~$250 price is as low as it can really be done for an item of such quality and as such is "cheap" so far as the real thing can ever be. ...and that anything much cheaper, like 25$ on ebay or something, pretty much has to be either not actual pernambuco, or will have quality issues so bad that the buyer probably won't be happy with it as a bow. "Affordable" is a nicer word, sure.. But sales is about drawing attention to the selling points. Sometimes a little "rude" can work better for that than "nice". And I thought to myself, "No, I didn't buy a 'cheap' pernambuco bow. I bought a good pernambuco bow that I could afford." Not that making money is what it's all about but it puts food on our tables. I like making money and helping others save money at the same time. I won't walk over people to do it but I'll use gimmicks like "cheap" if it helps LOL. We're trying something new now. We'll see how it goes. "Cheap" will be in the URL and in the tags but not the description. Didn't mean to make life difficult when I mentioned it mate. I get more greedy satisfaction from saying "Would you believe that this bow was cheap?" versus a more civilized "was affordable" which just does not do justice to my shrewd gambles. My collection of cheap everything bears ample witness to my shopping skills. PS Ever been to St. George in Bristol for music? There's nothing cheap about these genuine, high quality, yet affordable pernambuco bows..
Oh, and John congratulations on the new bow. I have one and I can tell you that there's nothing cheap about these genuine, high quality, yet affordable pernambuco bows.